Our anklet has a stunning design that would make you fall in love with it, plus would make you want to wear it all the time. The ankle bracelet is crafted in 10k gold properly stamped and marked. The gold anklet is yellow gold in color and has a high polished finish. The 10k gold anklet has been designed in a way that makes it look simply ravishing. It also has a Spring Lock claw attached to it and is 10" long. 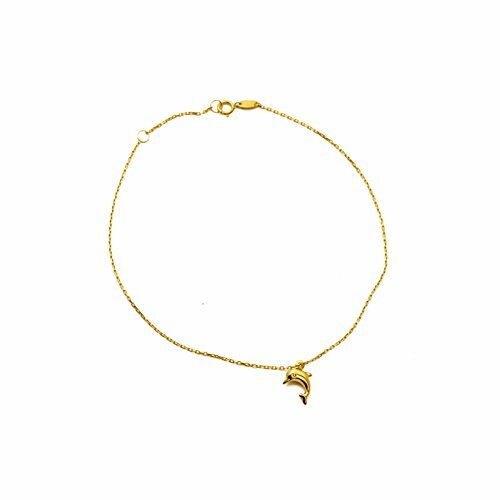 This gorgeous Anklet that has a single dolphin pendant. It is perfect for everyday wear. Great addition to your jewelry collection or a great gift for her.